Hey yall! Have you enjoyed red, white and blue week so far? 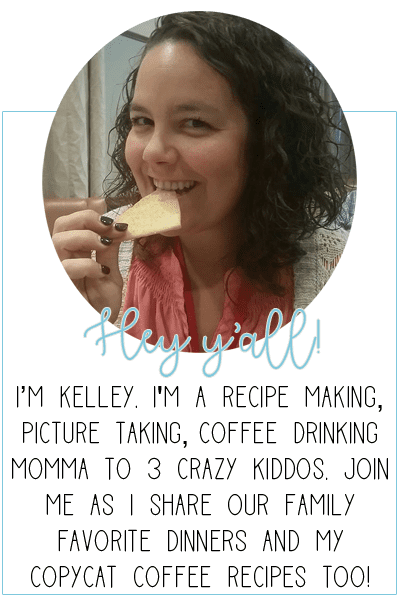 I have one more recipe to help kick off your Fourth of July celebration next week. And it might just be your new favorite! [I know its mine!] Remember the very berry moscato I shared yesterday? Well, I used those berries for this spiked strawberry shortcake! 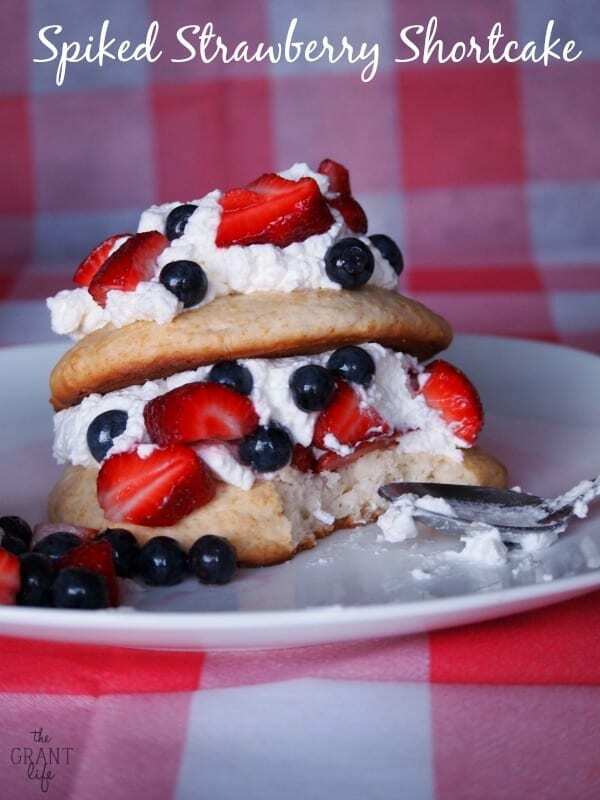 Make and bake your shortcake according to the package. Set them aside to cool. 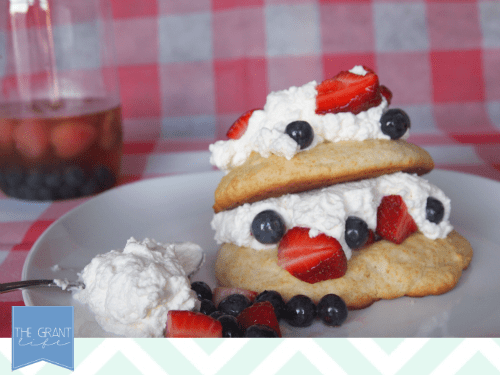 Take your strawberries from your moscato and layer then with the whipped cream and shortcake. Make sure to add a little of the juice [aka wine] to the shortcake. 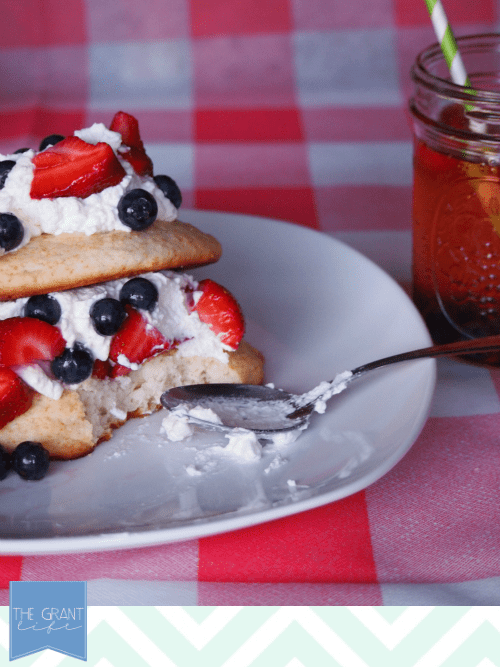 This would be the perfect Fourth of July dessert, in my opinion. It has everything you need: fruit, dairy, bread and booze. What’s not to love? So you can have one of these 25 burgers from the grill with very berry moscato for dinner, followed by spiked strawberry shortcake for the adults and Fourth of July pudding pops for the kids. Throw in some sparklers and a bonfire and that sounds like a pretty perfect evening to me. What do you have planned for the Fourth of July? Thanks Chels! 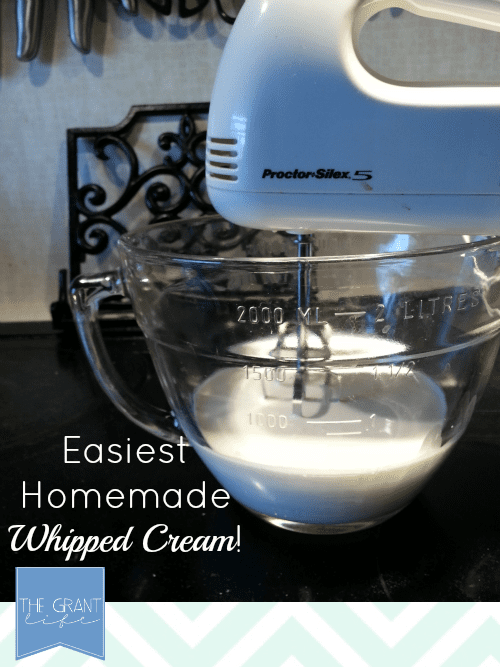 Its so easy to make too!